Success in the Czech Republic, followed by latter stage finishes in France; after two tournaments on the calendar, Azerbaijan’s Yang Xinyu and Japan’s Maki Shiomi are the respective leaders on the 2017 ITTF World Junior Circuit Standings. Yang Xinyu, a quarter-finalist in France, heads the Boys’ list (1536 points), Maki Shiomi who came so close to a second consecutive win, being the runner in France, occupies top spot in the Girls’ order of merit (2,550 points). Second place on the Boys’ Standings is occupied by Frenchman, Bastian Rembert (1,200 points) the winner on home soil on his first outing of the year; he is followed by Japan’s Haruki Miyamoto (1,170 points), Azerbaijan’s Wang Chenxi (888 points) and the Czech Republic’s Jiri Martinko (672 points). Hungary’s Csaba Andras, Germany’s Gerritt Engemann, Moldova’s Andrei Putintica and Rémi Menand (528 points) of France complete the leading names. Haruki Miyamoto was a quarter-finalist in the Czech Republic, the runner up in France; Wang Chenxi emerged the silver medallist in the Czech Republic but did not enjoy the same level of success in France. He departed proceedings in the opening round. Likewise, Jiri Martinko competed in the Czech Republic and France; on both occasions he was a quarter-finalist. Somewhat differently, Germany’s Gerritt Engemann and Andrei Putintica were present only in the Czech Republic; conversely, Csaba Andras and Rémi Menand made just competed in France. Meanwhile on the Girls’ Standings, Japan is very much in evidence. In addition to Maki Shiomo, Miyu Nagasaki is in second place (1,470 points), Yuko Kato is in fourth spot (1,080 points) with Kana Takeuchi being in fifth position (840 points). Miyu Nagasaki was the runner up in the Czech Republic, a quarter-finalist in France; Yuko Kato reached the last eight in the Czech Republic; one step further on French soil. On both occasions, Kana Takeuchi was a quarter-finalist. Two appearances, for Azerbaijan’s Ning Jing and Hong Kong’s Wong Ching Yau; France was the one stop. Ning Jing beat Maki Shiomi to win the Girls’ Singles title, Wong Ching Yau was a semi-finalist. 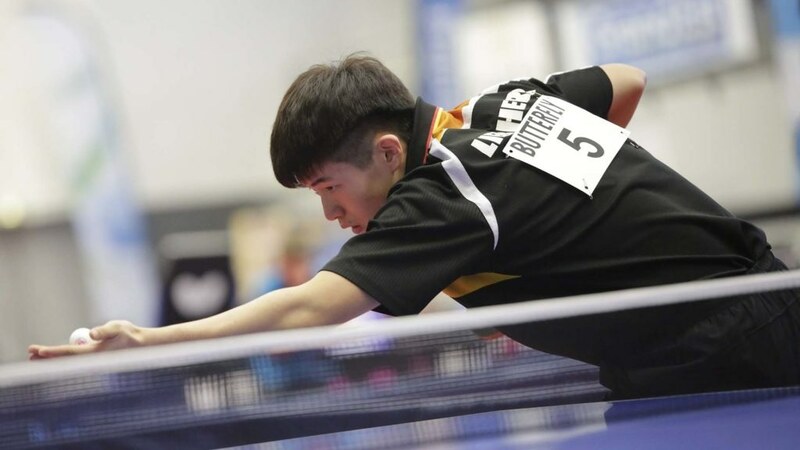 Realistically, in order to gain a top 16 place and qualify for the end of campaign ITTF World Junior Circuit Finals, a top 12 finish has proved sufficient in past years. In each of the Boys’ Singles and Girls’ Singles events, no association may be represented by more than two players, the host association is allotted one place; each continent is eligible for at least one representative (Africa, Asia, Europe, North America, Latin America, Oceania) but to gain an invitation to the Finals, a player must have competed in two continents.